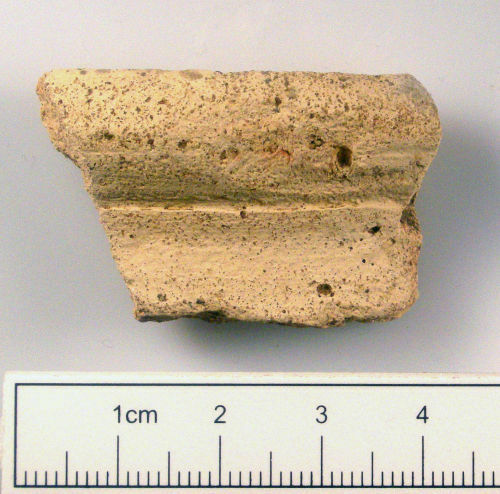 A rim sherd of wheelmade medieval pottery. A rim sherd of wheelmade, sandy ware medieval pottery. A base sherd of wheelmade medieval pottery. A body sherd of wheelmade medieval pottery.